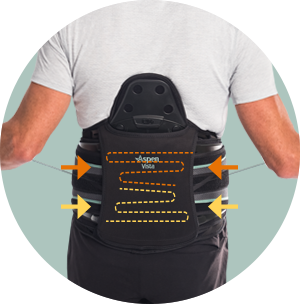 The Vista® 464 TLSO offers patients support within the thoracolumbar spine, providing a versatile system that accommodates appropriate motion restriction throughout the healing process. 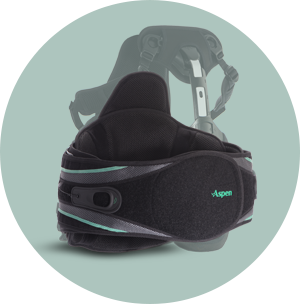 The three shoulder strap configurations and height adjustment technology accommodate all body styles for an effective and comfortable fit. With many opportunitities for customization, the one-size adjustable Vista 464 TLSO can be stepped down to the other three Vista Lower Spine configurations and comfortably fits waist sizes ranging from 26-60 inches, and up to 70 inches with the extension panel. 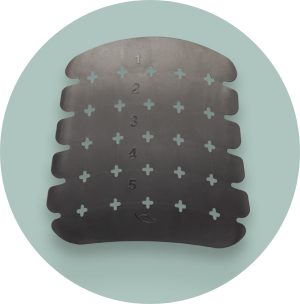 Without using tools, the Vista® 464 TLSO thoracic bar height adjusts from 13 to 21 inches to accommodate varying patient anatomies. 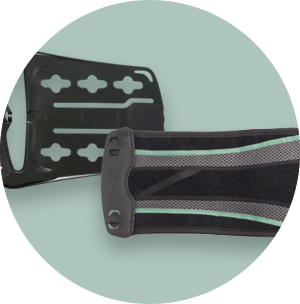 As the patient improves, Visa lower spine braces can be easily stepped down to provide the needed support and motion restriction throughout each patient’s recovery to health.